Can be introduced to medical organizations, factories, and laboratories where individual authentication by card touch or biometrics has been difficult when you have your hands full or wear a mask and glovesinflatable water slide. 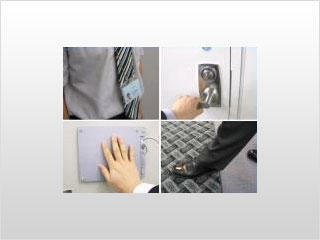 Ad-Sol Nissin has realized hands-free authentication with electric field communication Touch Tag®. 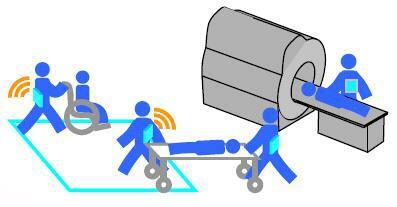 With this technology, the human body serves as the communication line. Using a minute electric field generated on the surface of the human body, data can be communicated between the tag and electrode. 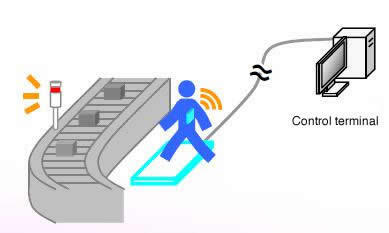 Individuals can be identified and authenticated without having to hold up a tag, but by natural behavior, such as touching, sitting, or stepping on an electric field communication reader electrode. Even in an environment where it has been difficult to introduce a security system, such as where people wear dust-free garments (protective clothes) and gloves, a high-accuracy authentication system can be created. Because the tag is a semi-active, low-power consumption design, it can operate more than three years on a button battery. * This is the value measured by Ad-Sol Nissin. By creating a network system that connects the controller and the dedicated server with a LAN, the status of all the controllers and the terminal devices under governance of the system is uniformly controlled by a dedicated application (monitoring center equipment). 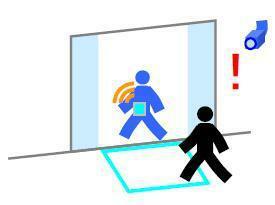 Type-T is recommended for entrance/exit management in an building. 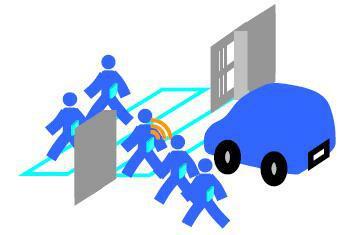 Passage detection at a location with heavy traffic. Passengers and direction can also be detected. Tag is attached to baggage to check location. It may also be attached to a person. 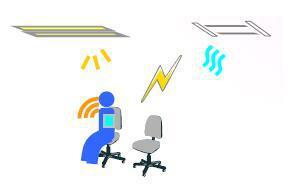 Ad-Sol Nissin offers three types of hands-free authentication solutions: electric field communication (BAN) Touch Tag® for entry/exit authentication in a narrow area such as at a door, LF wireless tag for medium ranges such as at the entrance to an building, and ZigBee® tag for area management of people in relatively wide areas such as in a building. We select or combine solutions best suited to your requirements. For details, consult Ad-Sol Nissin.